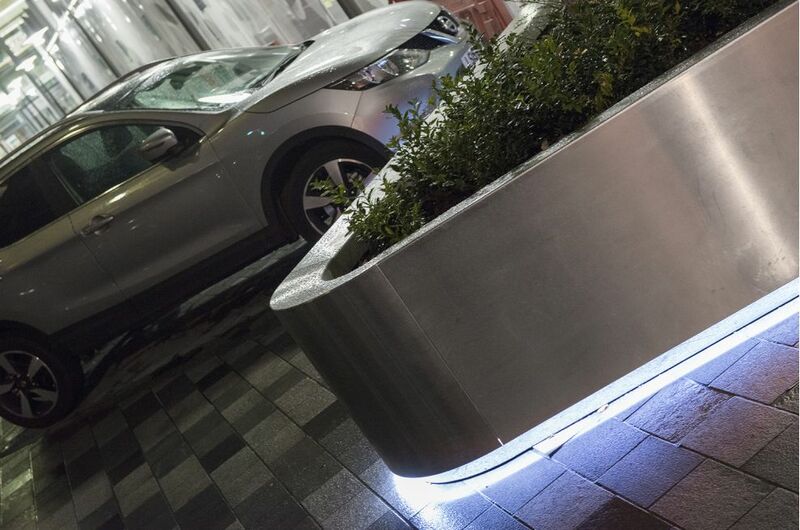 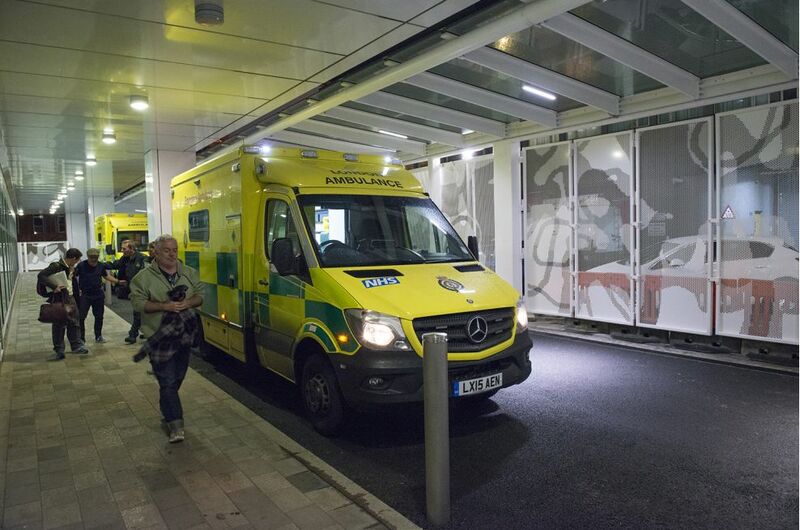 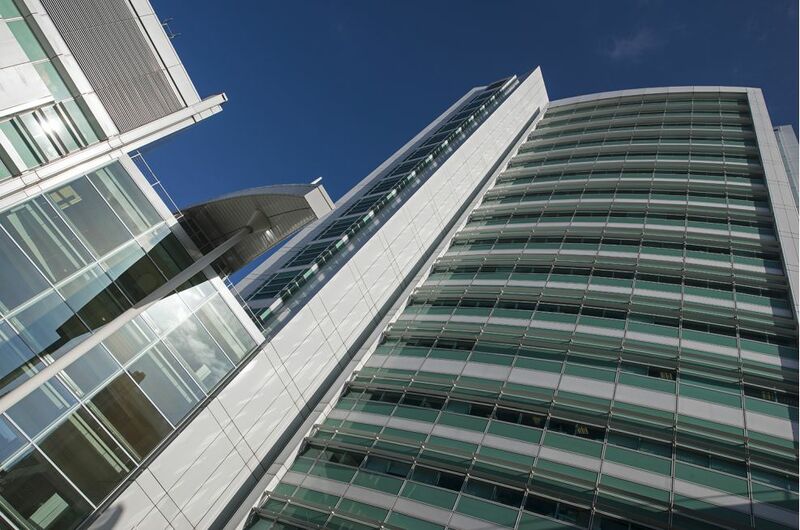 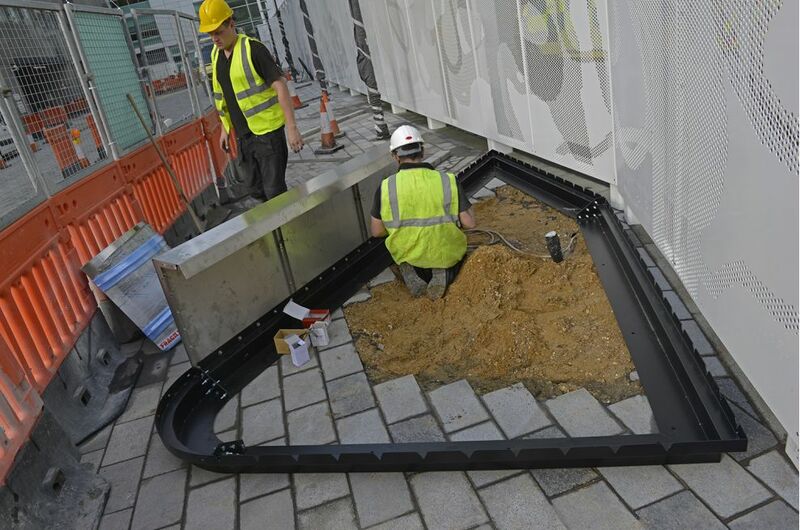 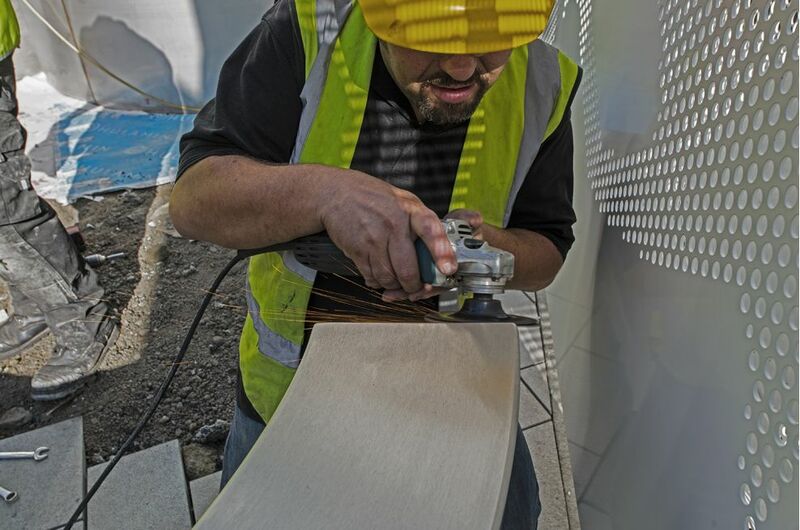 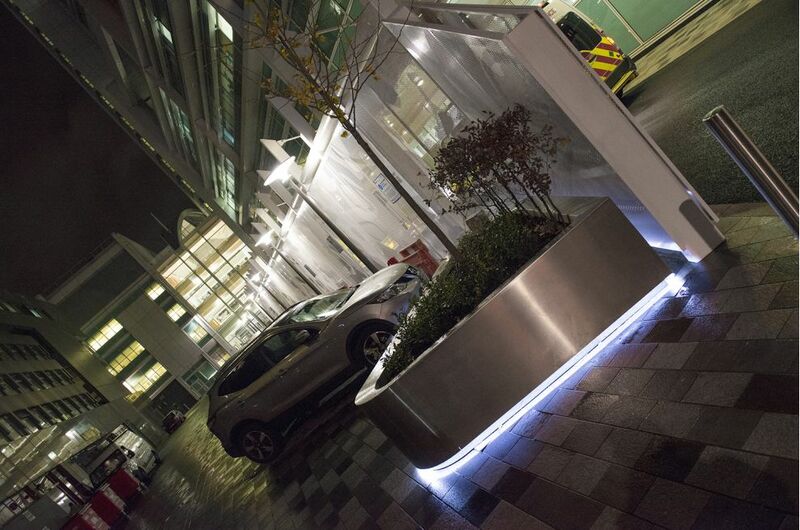 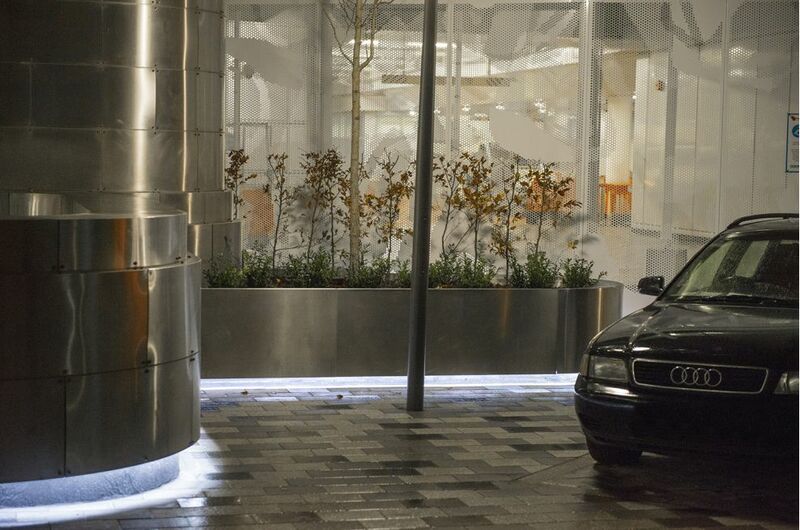 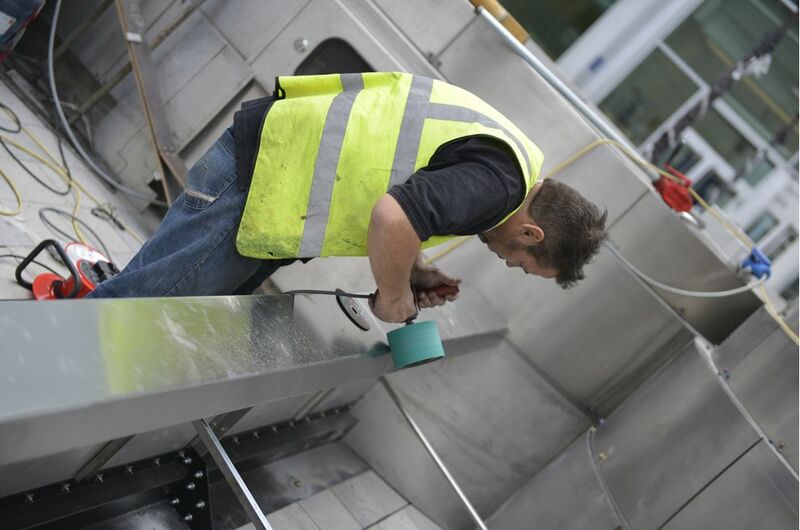 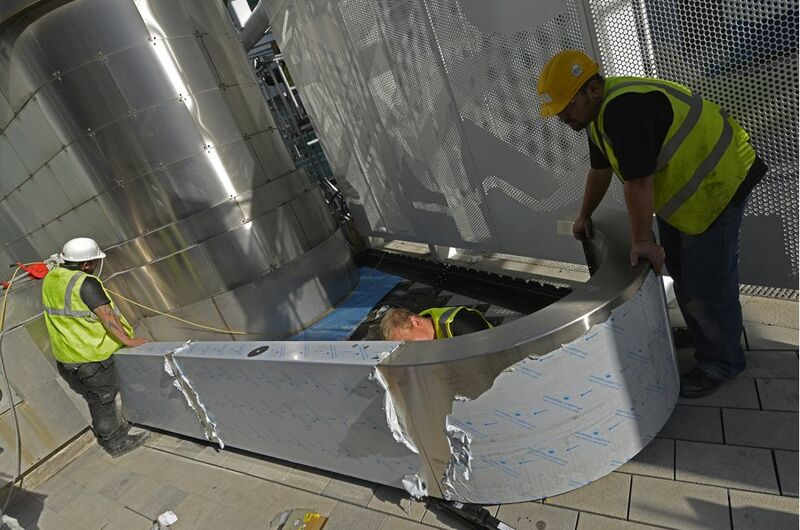 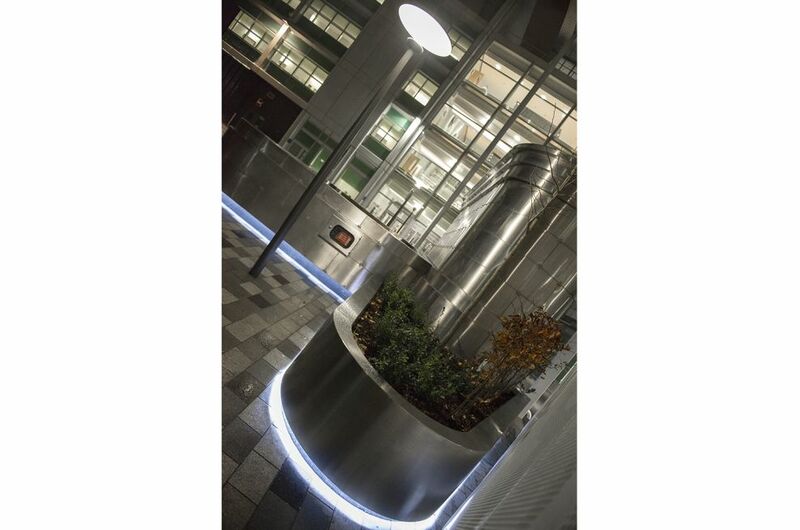 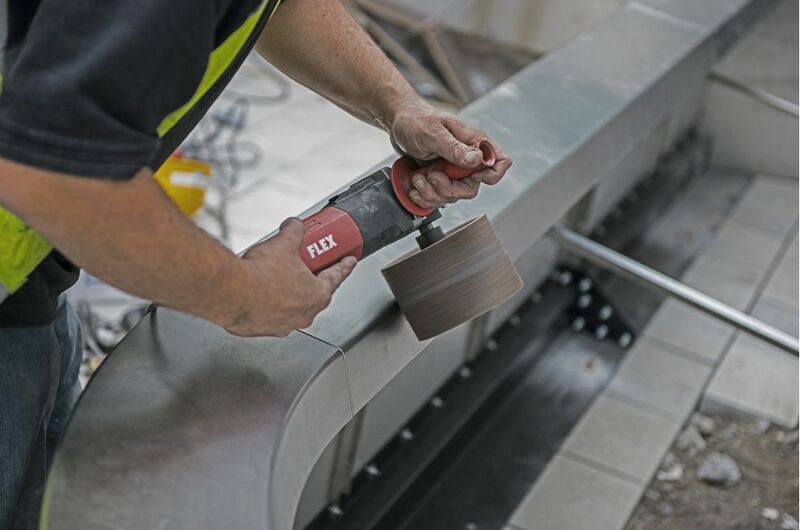 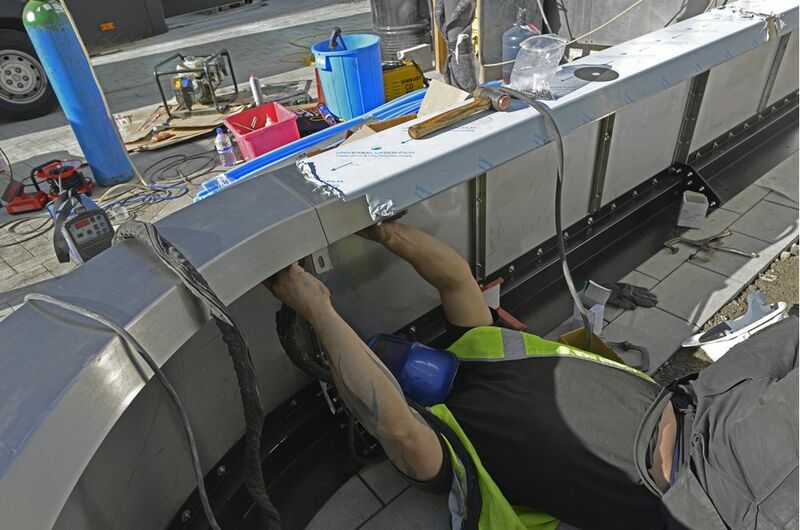 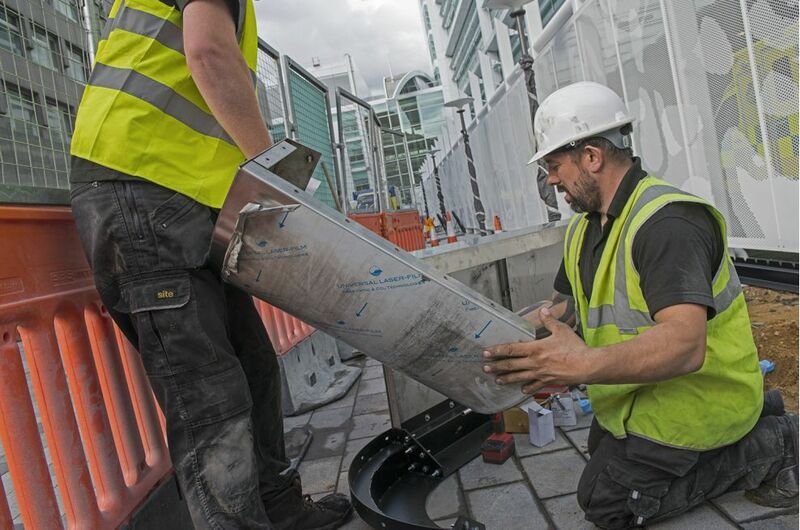 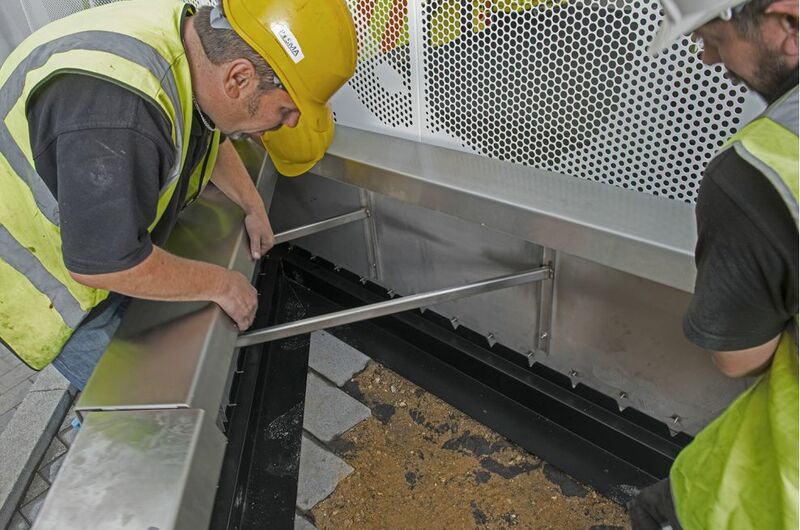 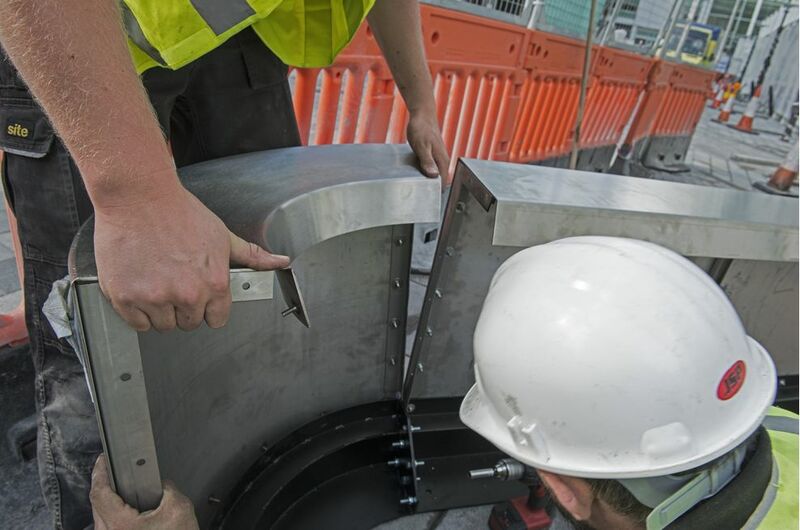 IOTA was contracted to supply, install and plant bespoke stainless steel tree planters at University College Hospital [UCH], as part of a major expansion of the Accident and Emergency Department. 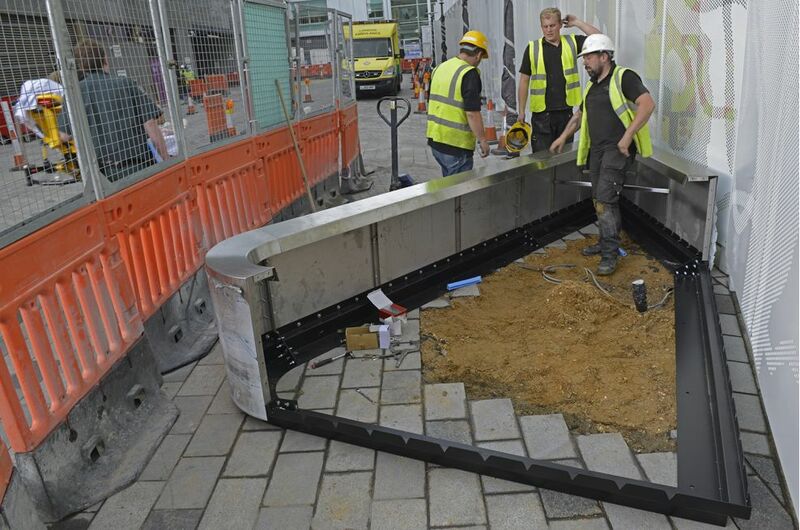 The phased expansion will see a doubling of A&E capacity at UCH; and IOTA’s planters form part of landscaping works at the new ambulance drop-off station, which has been moved to Grafton Way. 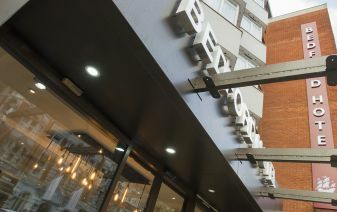 The 2nr. 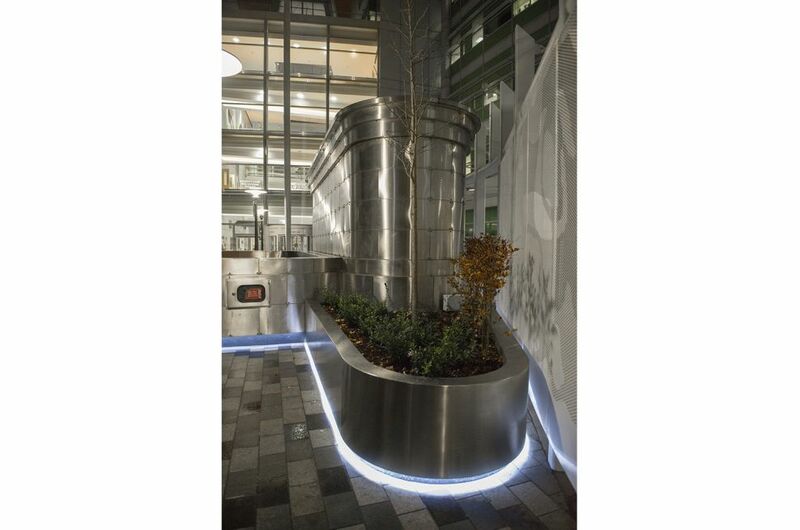 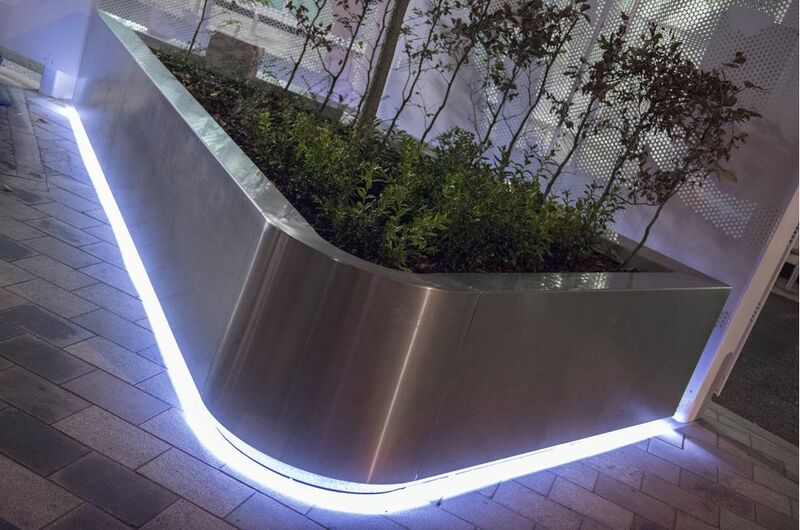 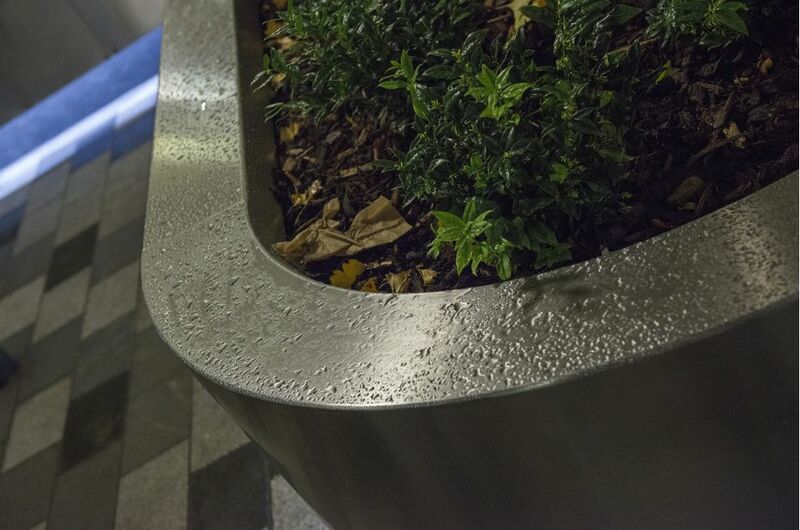 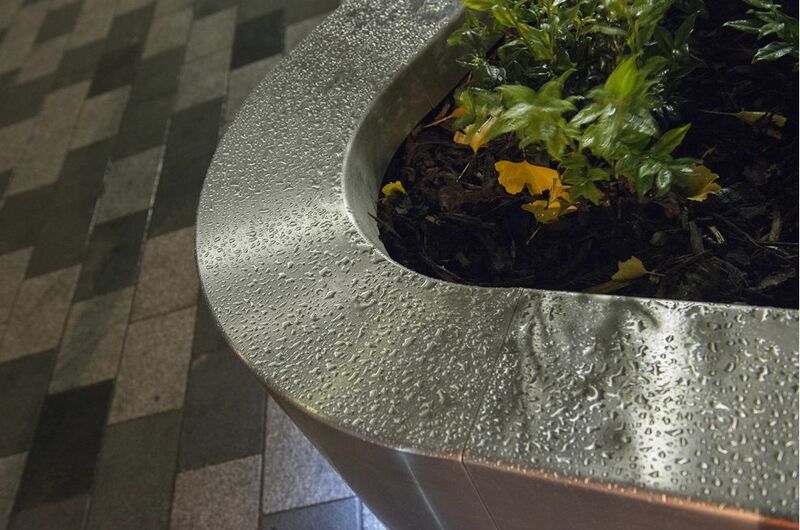 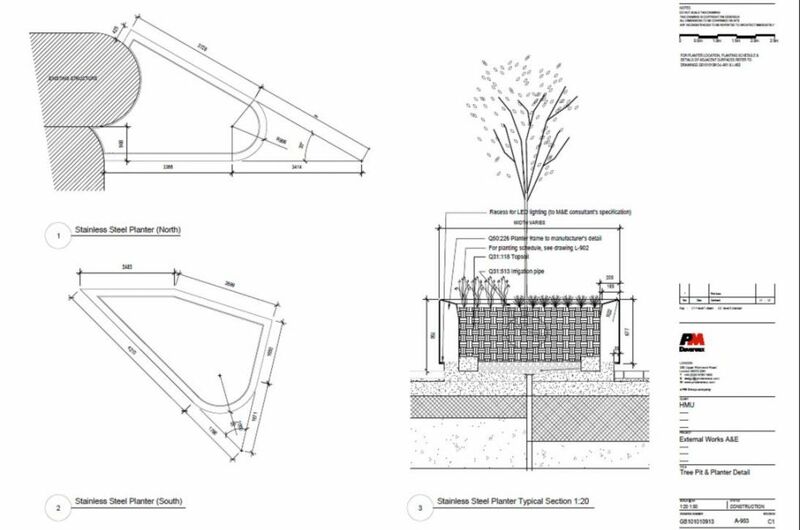 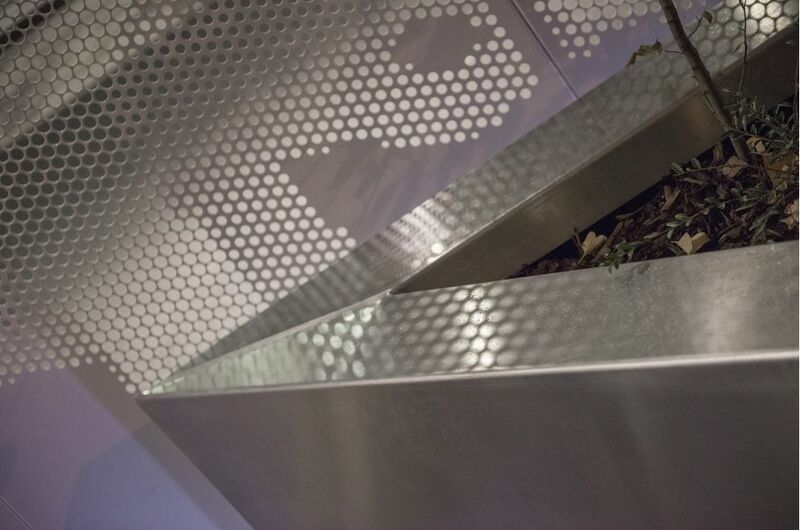 planters were fabricated from 3mm thick 316-grade Stainless Steel; and they are large planters of complex, asymmetrical form, with footprints up to 4m x 6m (see plan drawing in gallery). 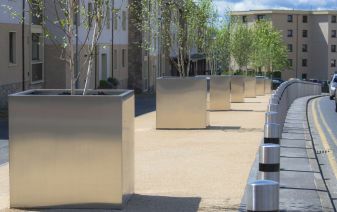 The original design conception was for the planters to be of double-skin construction, and to sit on top of pre-laid concrete foundations; but IOTA proposed a value-engineered solution based around a reinforced, single-skin construction, with integral steel plinths. 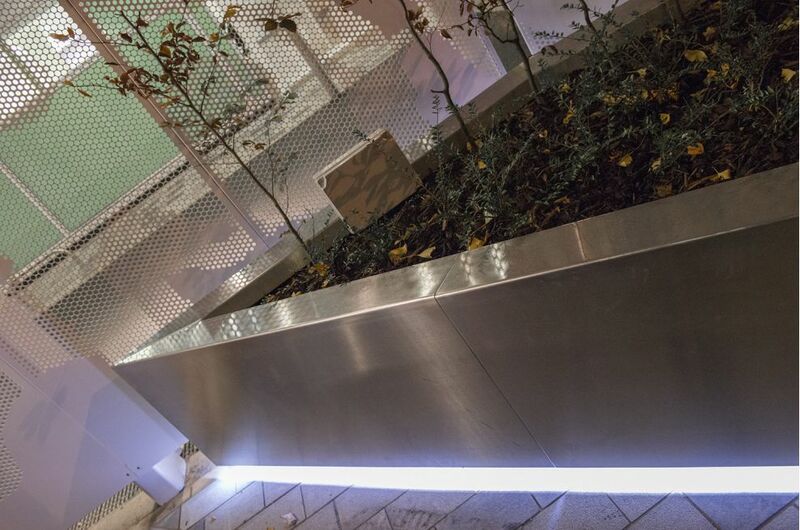 The plinths were powder coated black, and were designed to include a 25 x 55mm vertical recess to house LED lighting. 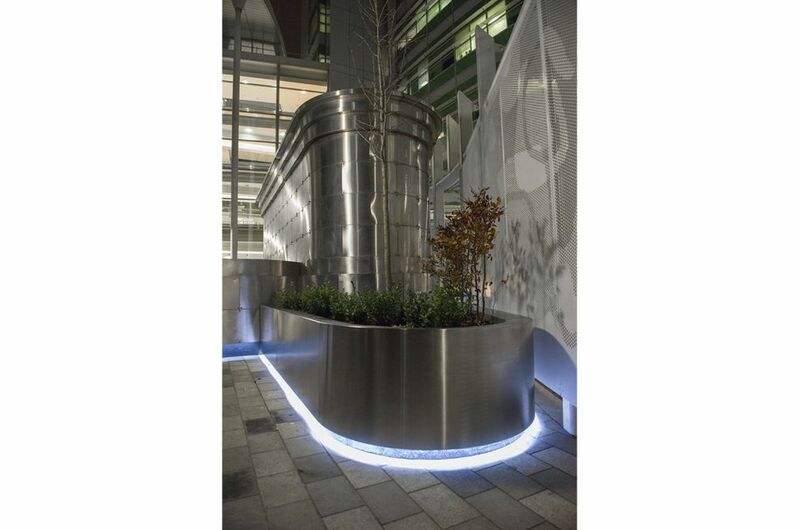 The contractor on the project was Balfour Beatty; and the works to the A&E department were designed by architects PM Devereux, including the design for the outdoor planters. 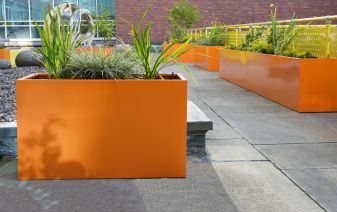 The planting, and ongoing plant maintenance, was sub-contracted to PHS Greenleaf.